The wearin' o' the green is coming up on Sunday, March 17th. While religious in origin, in the US the day is mostly spent drinking green beer and eating corned beef and cabbage (along with carrots & potatoes...which for some reason get second billing or no billing at all). A good corned beef dinner can be really delightful. With a slow cooker, it can also be really easy to make. 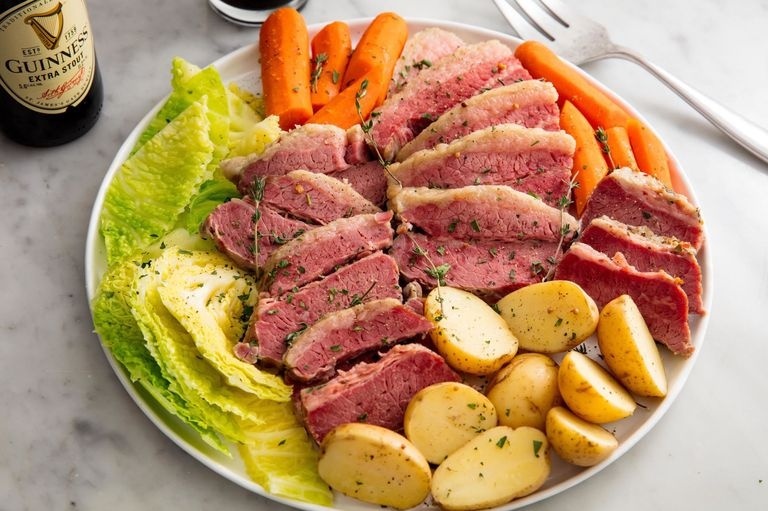 For a simple recipe, check out Slow Cooker Corned Beef & Cabbage on delish.com.